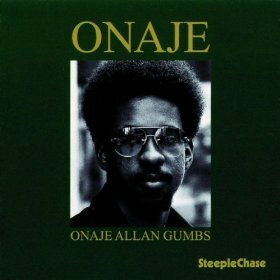 "Born in Harlem and raised in Queens, Onaje started playing piano at age 7. He graduated from Manhattan’s High School of Music and Art as well as SUNY at Fredonia. In 1971, a gig with master guitarist Kenny Burrell at Baker's Keyboard Lounge in Detroit led to recording and sideman gigs with such artists as Norman Connors, Buster Williams, Cecil McBee, Betty Carter and Nat Adderley. He spent 2 years as pianist/arranger/composer in the band led by the late, great trumpeter Woody Shaw. As a producer/arranger/pianist, Onaje has worked with other artists such as Phyllis Hyman, Stanley Jordan, Will Downing, Angela Bofill, Sadao Watanabe and Cassandra Wilson. Solo projects include " Onaje" (Steeplechase - 1976), " That Special Part of Me" (MCA/Zebra - 1988), " Dare to Dream (MCA/Zebra - 1991)", " Return to Form" (Half Note - 2003), " Remember Their Innocence" (Ejano - 2005), and " Sack Full of Dreams" (18th & Vine - 2007) which was a Jazz Improv Magazine pick amongst best albums of 2007. 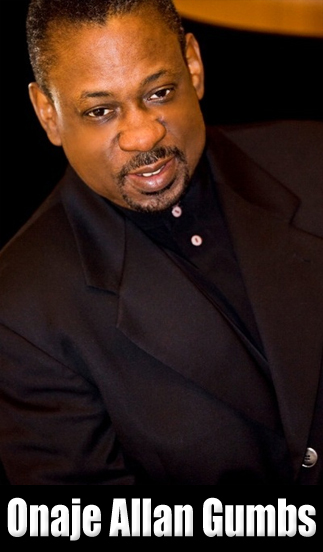 Onaje composed, arranged and performed the original score for the 1994 Showtime Network film, " Override", directed by actor/producer Danny Glover. He is currently working on the film score as well as serving as Music Supervisor for an upcoming indie film entitled "Indelible". Onaje served as producer of the 2009 self-titled debut album " Kenny Davis" by bassist Kenny Davis(Daken Records) that features Geri Allen, Don Byron, Javon Jackson, Billy Kilson and other notables. 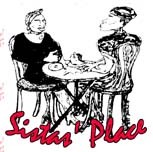 In addition, Onaje is featured pianist on Avery Sharpe's albums, " Dragonfly"(2005), " Legends and Mentors"(2008), " Autumn Moonlight"(2009) and " LIVE"(2010) along with drummer Winard Harper. 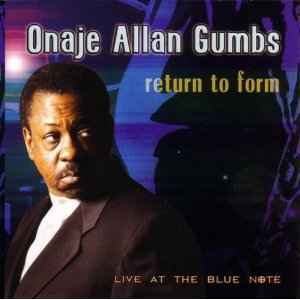 "Onaje Allan Gumbs is one of the industry’s most respected and talented musical collaborators. He has worked for more than 27 years with an illustrious list of jazz, R&B and pop artists. In 1974, he created a special arrangement of "Stella By Starlight" for the New York Jazz Repertory Company as part of a concert honoring Miles Davis at Carnegie Hall. He followed that with live and recorded performances with such artists as Lenny White, Buster Williams, Cecil McBee and Betty Carter. 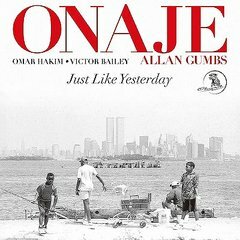 In 1975,Onaje joined forces with trumpeter, Nat Adderley as part of his quintet contributing to the group’s releases on Atlantic and Steeplechase Records. 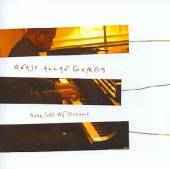 Producer Nils Winter of Steeplechase upon hearing Onaje’s improvisations, invited the young pianist to record a solo piano project entitled Onaje." ~ Richard Thorpe, The Boston Globe - itsaboutmusic.com, CD Discography and Reverbnation page.